Recess by Narciso Desmadryl from Perkins Bacon Plates 1855 (Feb): 5 c. reddish brown, wmk. pos. 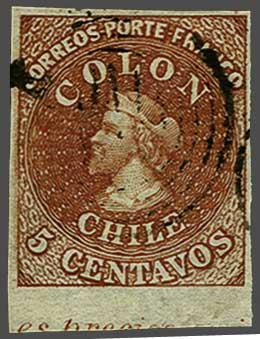 1, an exceptional used example, with ample to large margins all round, marginal from base of sheet (position 237) showing lined watermark and part "es preciso" imprint. 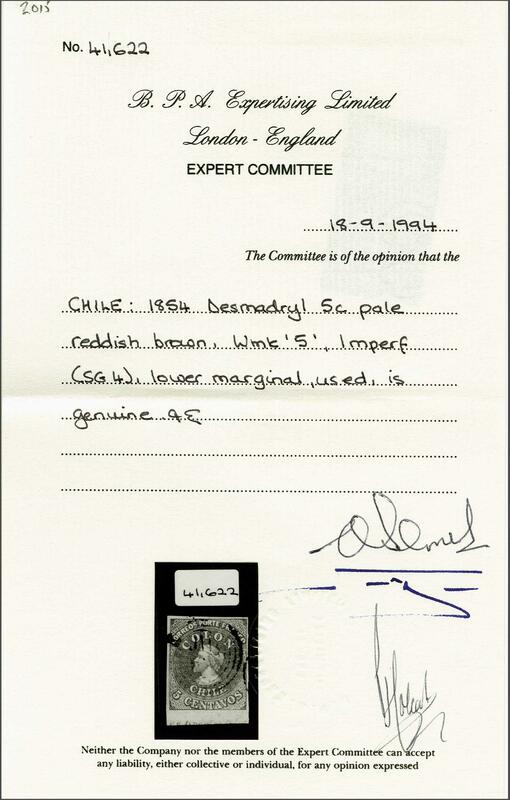 A superb stamp. Cert. BPA (1994).